Less than two months into his new job as director of programmes of Sky One – and Two and Three – it’s obvious that Richard Woolfe has hit the ground running. In his first six weeks on the BSkyB payroll the 43-year-old ex-boss of Living TV can list the following achievements: he canned an award-winning show (Hex); axed a 10-year hit (Dream Team); commissioned a new series of cult hit The Prisoner; greenlit a new reality idea – a star-studded Cirque du Celebritée; and came up with the concept of a live football extravaganza, Celebrity World Cup, the latter while travelling into Sky’s Isleworth HQ on the tube. “No messing about; you know me,” says Woolfe as he sinks back into a corner seat in the bar of favoured media watering hole, the Hospital. Following on from four different controllers of Sky One in as many years, Woolfe knows quite a lot about challenges. Last year Sky One’s audience share in multichannel homes plummeted 21% as ITV2 overtook it for the first time to become the most-watched digital channel. Much of this was due to the rapid growth of Freeview, which doesn’t carry Sky One (it does carry Sky Three) but even in Sky homes Sky One has lost share, dropping to 2.31%, down from 2.72% in 2004 and 3.73% in 2002. The fall in viewers is partly due to the success of the Sky platform in attracting more channels and thus fragmenting audiences even further, but the main problem, acknowledged by Woolfe, is that Sky One has lost direction. Commissioning a remake of The Prisoner with a possible high-profile actor like Christopher Eccleston, and having David Jason star in an adaptation of Terry Pratchett’s Hogfather (set to air this Christmas) are part of the “noise” that Woolfe is planning to create around the channel. But then Woolfe has transformed a channel brand before, and one with an even smaller budget. While Sky was lurching from comedy and chat shows, to lads and dads, to more upmarket and female-skewed programmes, Woolfe was reinvigorating Living TV. He repositioned it from the multichannel backwaters of a downmarket, made-for-TV movie and wall-to-wall Jerry Springer channel into what it is today – a highly recognisable brand known for pink and paranormal shows like the break-out Most Haunted series to Will & Grace and Charmed. The channel surprised the sceptics with its innovative style and last year scooped Broadcast Channel of the Year. One of the first moves Woolfe made at Living in 2001 was controversially axing The Jerry Springer Show, at the time the channel’s only hit. “It was a brave move but I knew if we were going to move on, we needed to get rid of it,” recalls Woolfe. To perform a Living-style turnaround on Sky One, Woolfe has a reported £120m budget and a much larger team, but he also has to contend with the huge expectations of his new bosses, Sky’s poor reputation among independent producers – and the ambitions of BSkyB as a listed company that has traditionally worried more about the health of its distribution platform and subscriber count than about any one of its channels, particularly one not related directly to sports or Hollywood films. Woolfe’s priorities are to make the Sky team work more cohesively and to get the right programmes on the channel, with the effort concentrated on Sky One, before Sky Two and Sky Three come under his microscope. Woolfe’s early career helped him understand that taking ownership of an idea is hugely important. As a producer on BBC1’s That’s Life, Woolfe learned two big lessons from presenter Esther Rantzen – that people will always support what they’ve helped create and that if a programme idea feels good in your gut, do it. “When I arrived at Sky there were about 8 billion ideas in development. People were hedging their bets. My view is we only develop what we passionately believe in,” says Woolfe. 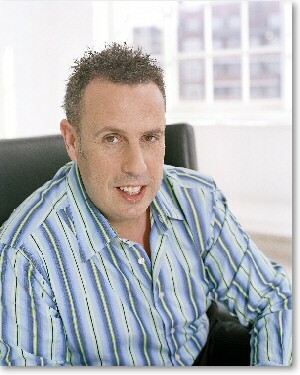 After a stint as entertainment editor at Granada and a feature producer at the BBC, Woolfe moved to Bob Geldof’s Channel 24 as head of entertainment before landing the job at Living TV, where he won a reputation as a very “hands-on” controller. Since he left last December, Living TV’s ratings have plunged by 25%, something he attributes not to his departure per se but to the lack of someone minding the channel day-to-day. “If you don’t keep across everything, that’s when things start to slip,” says Woolfe, referring to the gap between his going and the arrival of former ITV entertainment commissioner Claudia Rosencrantz as Living’s new controller. Woolfe also puts great faith in lateral thinking. Among the bright ideas that have arisen since he instituted the weekly “board meetings” was a last-minute promotion of The Simpsons episode starring Ricky Gervais to morning radio show hosts; they were sent a box of doughnuts along with some publicity material before the broadcast. The doughnut idea came from someone in scheduling, not marketing or PR. The Ricky Gervais episode attracted 2.3 million viewers and a 15% share, Sky One’s second best ever performance. For years Sky One has been considered a difficult sell for indie ideas, not least because of the channel’s schizophrenic identity. But the new broom is keen to sweep that reputation away; Woolfe is encouraging programme makers to talk to him about Sky One’s focus on popular entertainment. “It troubles me that we haven’t got enough originations coming through,” says Woolfe.